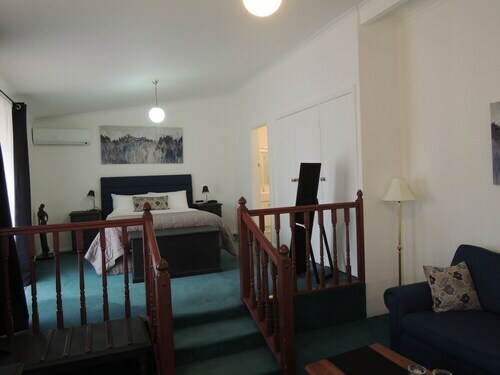 Situated in a rural location, this motel is within 2 mi (3 km) of Anzac Park, Land of the Beardies History House, and Glen Innes & District Historical Society. Australian Standing Stones is 1.6 mi (2.6 km) away. Glen Innes Station is 23 minutes by foot. 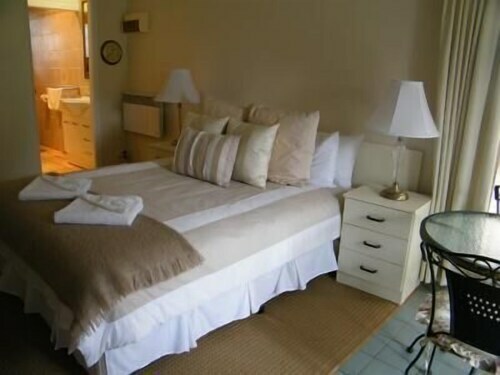 Situated in Glen Innes, this motel is within a 10-minute walk of Land of the Beardies History House and Anzac Park. Glen Innes & District Historical Society and Australian Standing Stones are also within 1 mi (2 km). Glen Innes Station is 18 minutes by foot. 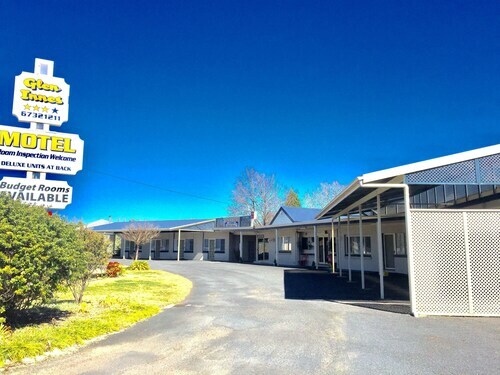 Situated in Glen Innes, this motel is within 2 mi (3 km) of Anzac Park, Land of the Beardies History House, and Glen Innes & District Historical Society. Australian Standing Stones is 1.6 mi (2.5 km) away. Glen Innes Station is 21 minutes by foot. 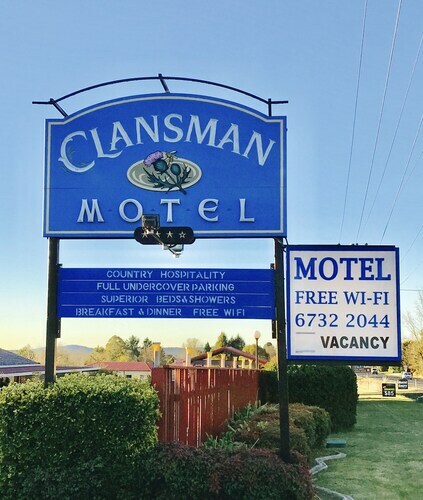 Situated in Glen Innes, this motel is within 1 mi (2 km) of Anzac Park, Land of the Beardies History House, and Glen Innes & District Historical Society. Australian Standing Stones is 1.4 mi (2.2 km) away. Glen Innes Station is 20 minutes by foot. 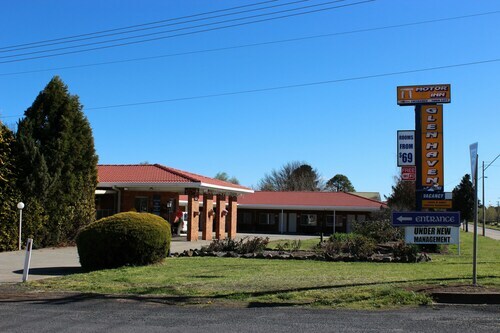 Situated in Glen Innes, this motel is within 2 mi (3 km) of Anzac Park, Land of the Beardies History House, and Glen Innes & District Historical Society. Australian Standing Stones is 1.9 mi (3 km) away. Glen Innes Station is 28 minutes by foot. Explore the heart of New England, NSW, with our Glen Innes accommodation. A charming, rural town, Glen Innes was once a popular mining centre. The area is known as the ‘Land of the Beardies’ as its first settler, Archibald Boyd, was led there by two men with long, flowing beards. Today, Glen Innes is the perfect place for a country holiday, with its hospitable locals, historical attractions and excellent weather year-round. Glen Innes is a town with distinctive architecture. There are more than 30 Heritage-listed buildings around town, with many standing since the town’s founding. The Uniting Church is a beautiful building with a tall, pointed spire built with reddish-grey brick. This church is located on the tourist drive for a reason! Learn more about the history of the town, its buildings and more at the Beardies History Museum. A must-visit in Glen Innes is the Australian Standing Stones. This unique landmark pays tribute to the town’s Celtic heritage stemming from the early European settlers in the district. The Standing Stones are also the home of the Australian Celtic Festival, held in May. This special event features live performances, jousting and pipe band marching. Fossicking – searching for precious minerals - is also a hot activity in Glen Innes; unsurprising, given the town’s history as a mining centre. There are parks all around New England that operate specially for this purpose. Glen Innes’ love of gemstones doesn’t end there, with the town hosting Minerama, a fossicking and gem show in March each year. At Minerama, you can head out on guided fossicking trips or just browse the stalls selling gems and fine jewellery. Our Glen Innes hotels will also put you close to nature as the town is located near two national parks. The Gibraltar Range National Park is an ideal place to bring the family, with picnic tables and camp grounds available for use. Bike along a track that oversees an ancient rainforest, swim in natural creeks or simply take a relaxing walk and listen for the calls of the giant barred frogs. Slightly further north is the Washpool National Park, a World Heritage-listed site. Here you can explore the coachwood trees and watch for rare and unusual wildlife like the long-nosed potoroo and the cute and cat-like spotted quoll. Glen Innes is a relaxed, eight-hour drive from Sydney or four-hour drive from Brisbane. Alternatively, take the Countrylink from these cities and enjoy the rural landscape as you pull into the station. No matter how you get there, get ready for your historical getaway with our accommodation in Glen Innes. How Much is a Hotel Room in Glen Innes? 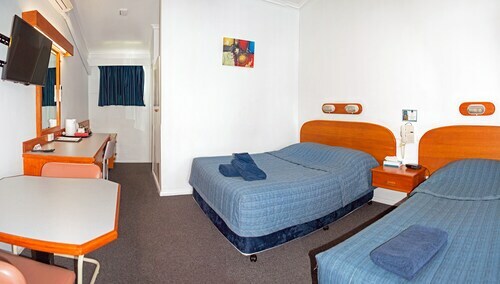 Hotels in Glen Innes start at AU$67 per night. Prices and availability subject to change. Additional terms may apply. The apartment was very clean and in a lovely quite area .with a beautiful view of tje park across the road with the lovely autum colours. Fantastic new bathrooms and room was immaculate. Very helpful staff for late arrival. 1 month ago by A verified traveller from Perth WA.